Couture Bunny Ears Crown in White. 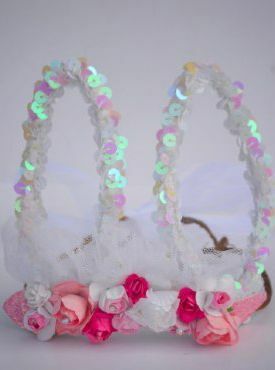 Glitter bunny ears with flowers on a woodland halo. Please allow 2-4 weeks for delivery.